Your home practice has your name on it, and no one else’s. Step up and claim it! Figure out how to make it work for you, by learning how to build a sequence, customize it to your needs, and stay inspired and creative. Ideally, you come to class 1-3 times/week, while practicing daily at home. For students with at least 3 months Iyengar yoga study, this workshop will get you started and keep you going. For students already practicing at home, we will provide ideas and resources to keep the practice fresh and fun. We will provide guidelines, sample sequences, tools, and feedback as you create and practice a customized sequence. 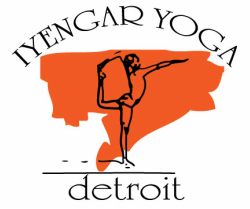 Preregistration required by January 13 at badassyoganun@gmail.com or 313-454-1401.